Lucky for me that my friend Jan had to run some errands in the town of Sonoma that included a stop at the Sonoma Market for some tiramisu. 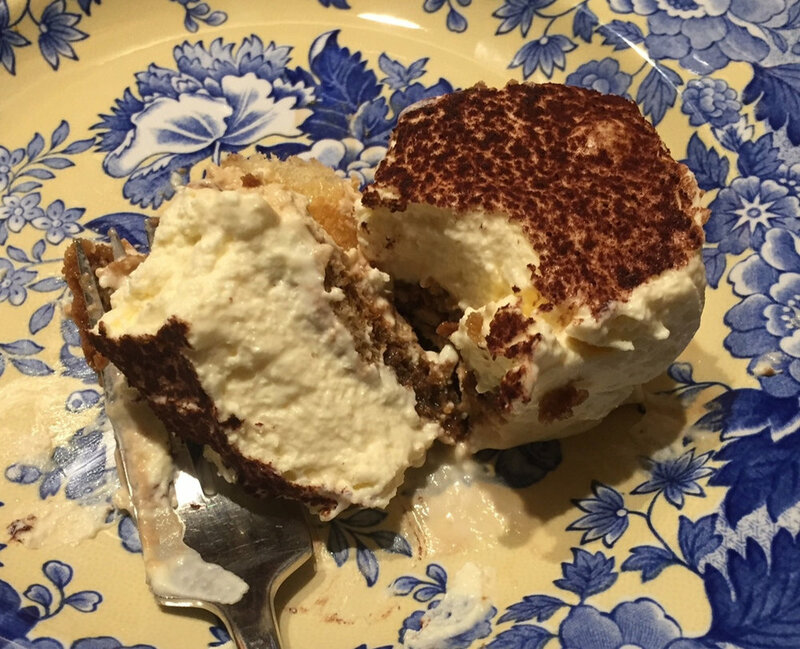 Tiramisu is an Italian coffee-flavoured dessert from the Veneto region of Italy where Venice is the largest city in the region. It is traditionally made of ladyfingers soaked in coffee, layered with a mixture of mascarpone cheese and whipped cream and embellished with chocolate. The Sonoma Market version is “Delicate sponge cakes soaked in coffee, filled with layers of cream and topped with chocolate shavings and cocoa powder.” states their website. Every bite is rich in coffee and cocoa flavor with the smooth rich texture of the cream. Using the sponge cake made it lighter in texture than the traditional ladyfinger cookies. I liked it! I liked it very much! Thank you, Jan! The Sonoma Market is located at 500 W. Napa St, just north of the Sonoma Square. They have been serving the Sonoma Valley for more than 50 years. The market has a reputation for having high-quality meats and seafood, fresh farm-to-market produce, a large selection of local and imported wines, artisanal cheeses.